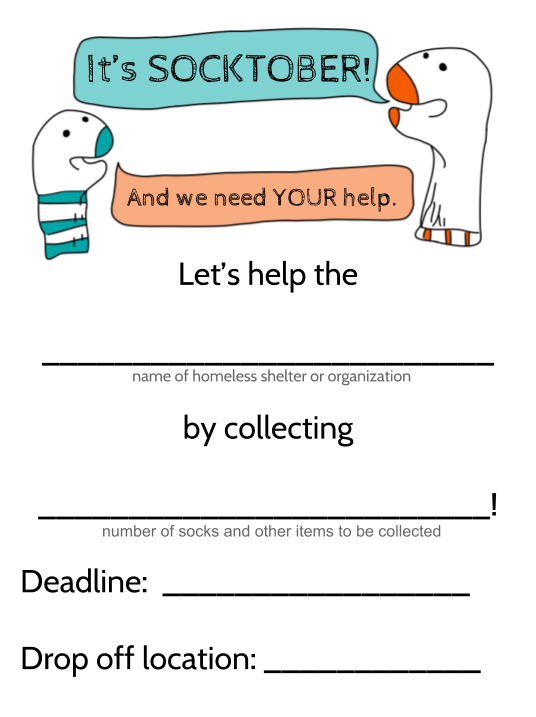 Here are some ways to let everyone know about Socktober! Reach out to your local newspaper about spreading the word! Get the entire community involved in your sock drive! Share your story by using #socktober. We want to spread stories of love and hope all month! Make it happen on Twitter, Instagram, and Facebook. Your voice matters! 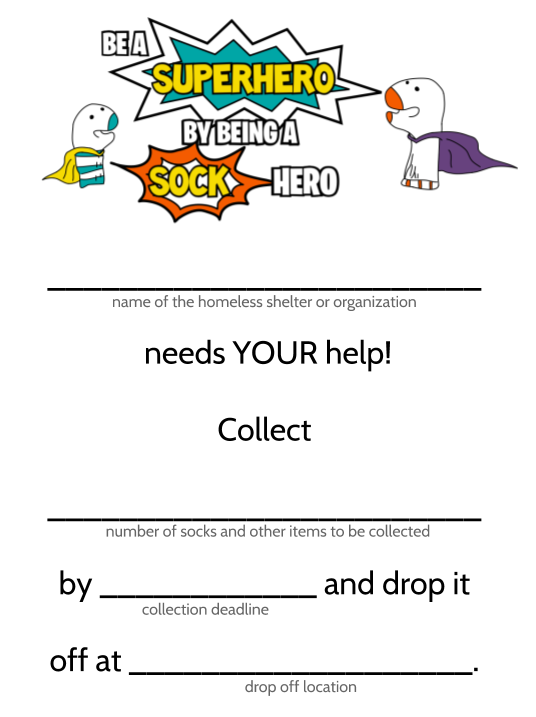 Feel free to print and add your information about your community's sock drive to the flyers below (or make your own) and hang them around your town! One of the fastest and easiest ways to spread the word is to tell your friends and family about your sock drive! Have them tell their friends, and eventually the entire community will be involved! Check out these awesome fliers you can use!